Measuring skills/abilities in professional level (non-entry level) applicants can be difficult because they know exactly what to say to sound competent. How can you be certain of their abilities, before you hire them? 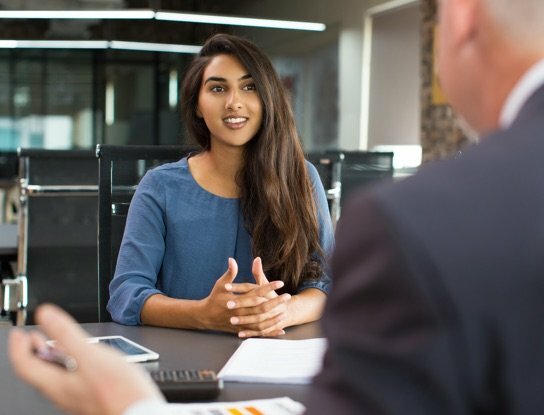 Our Professional Success Profile can help determine their true abilities during the interview process, before hiring them. Just complete the form for a free sample. Adapts and Leads in Change: measures adaptability, time management, ability to maintain composure and improvement orientation. Interpersonal Effectiveness: measures communication, team orientation, social orientation and ability to demonstrate respect. Performance Orientation and Drive: measures conscientiousness, personal motivation and self management. Develops customer-focused solutions: measures professional and managerial candidates' service orientation, quality orientation, customer centricity and ability to develop innovative solutions. Influences others: measures professional and managerial candidates ability to motive others, influence others, assertiveness and confidence. After the profile is completed, a score report is instantly emailed to the administrator. The score is presented in a percentile format (comparison to past test users). An in-depth interpretation of the score is also included for each topic, along with follow-up interview questions. The price for this profile starts around $20 per test for low volumes. The test can be taken from virtually any web connected computer or mobile device. To see a sample or learn more, complete the form or call us at 1.866.801.0315. We will help you make more informed hiring decisions about your admin/support job candidates. Ready to get started right now? Just click below for pricing options and immediate access.